The Design (Self Contained/Split) - AMHAC, Corp. But do you know which one your home or office has or why? 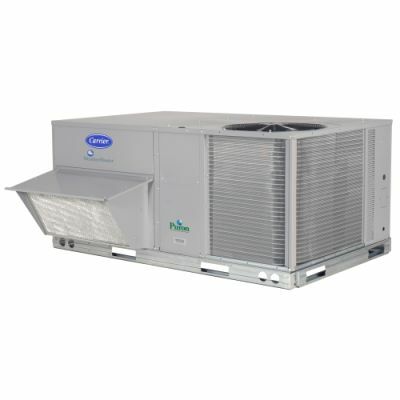 In a split-system central air conditioner there are two components, the outdoor condenser which incases the compressor (or heat pump) and the indoor that holds the evaporator, and at most times the furnace which is usually in the attic or closet. That’s why it’s called a “split” system. A split- system central air conditioner has greater efficiency possibilities. The efficiency is measured by its (SEER) rating, Seasonal Energy Efficiency Ratio, the range of split systems measure from 13 to 23. This tells you the relative amount of energy the air conditioner needs to provide a specific cooling output. The higher the SEER rating, the more energy efficient the air conditioner and the more money you will save. The minimum SEER rating allowed in the North East is 13. Does this option fit your home or office’s need? It’s a more cost efficient choice if your home already has a furnace, and if you are purchasing a new air conditioning unit or replacing an older unit. The initial labor cost to install will be grater, but the long-term care/repair may be cheaper. The condenser, compressor and evaporator are “packaged” into one unit.. Usually this is located on the roof of buildings (also known Roof Top Units). 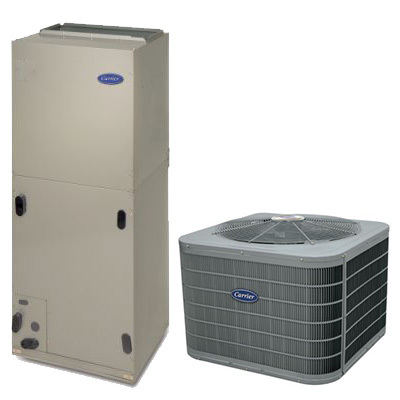 Some self-contained air conditioners can include electric heating coils or a natural gas furnace. The design of the self-contained system helps save space within your home or business and its installation costs are overall cheaper due to less area being covered. The SEER rating is typically measured between the 13 to 18 range. Does this option fit your home’s need? If space restrictions are an issue, this option should be considered.